In the first of our two-part analysis of the changing face of retail, our team of experts look at some longer-term social trends and explain how these are changing the way that we shop and visit malls. Q. What changes are impacting commercial real estate? Commercial real estate is going through rapid change as people become consumers of space, not just of products and services. Urbanisation – Between 75% – 80% of the world’s population will live in cities within the next 30 years, according to studies by the UN and IMF. This will raise accessibility issues when pressure on transport infrastructure increases as people move closer to work in order to reduce commute times. The implication of this is that building design will become more agile and be more sustainable. More mixed-use buildings are being completed; these are already common in major Asian commercial centres but are now starting to appear more in Australia. Previously an office block might have some ground-floor retail space, however new designs increasingly include hotels, apartments, leisure facilities and co-working spaces. Flexible working – The second trend is the changing nature of office work. Baby boomers entered the workforce at a time when a closed individual office provided solitude and status. By the time they reached management positions, open-plan working was the norm. Now this demographic sets the tone of businesses, the focus is switching to flexible working, home working and co-working spaces. A more agile approach aligns well with millennials whose embrace of hierarchy and structure is rather less than previous cohorts – and also with employees who place a high priority on family life. This shift coincides with a period when office rental levels are at historic highs in some Australian cities. Technology – The final trend driving change is the consumer’s higher expectations of the accessibility of instant and relevant information via mobile technology. Retail and other commercial centres in Australia have traditionally not managed customer information well. However, it is expected they will increasingly focus on integrating the analysis of data into their operating models. Q. What shops and other facilities do shoppers expect to see in centres? Customers want to be able to do more than just buy something when they visit a shopping centre. Now, they expect a space in which they can connect with friends and family; simply providing a food court will no longer suffice. Successful shopping centres now offer a mix of higher-range casual dining venues, trendy bars and cinema complexes. Families are attracted by children’s play areas and high-quality baby changing facilities; this may extend to childcare and even educational facilities. Fitness centres, spas, wellness outlets and medical services drive further footfall. The unifying feature is that consumers are more likely to be attracted to sources of value that cannot easily be reproduced and disrupted online. This even includes the more humble and longer-established dry cleaner, mobile phone repair or key-cutting kiosks. Once established as a destination that successfully attracts the target demographic, a centre and its retail tenants are then much better positioned to profitably transact physical goods. Consumers are demanding an experience that is exciting or surprising and based upon a human element. Q. When do people shop online and when do they want to visit a shopping centre? For most consumers in Australia this is not an either/ or question as people transact through both channels at different times. However, the experience for the online or physical shopper is likely to determine whether the market proposition is a success. 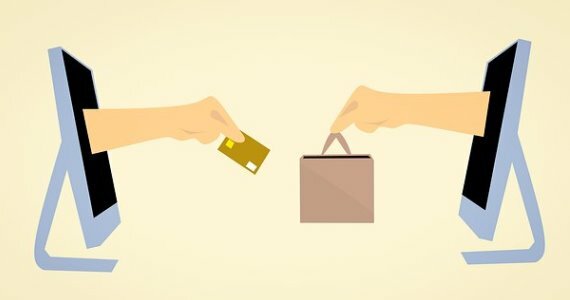 Commentary on the trends in retail sometimes suggests that e-commerce is a recent evolution, however online shopping sites have now been transacting in Australia for 20 years. During this time there has been no fall in annual mall visits, however the challenge for those in the wider retail environment is to persuade these visitors to part with their money. In Australia the market is structured in such a way that scope for product differentiation is somewhat limited and hence it is the quality and nature of the experience that represents the point of difference. In order to attract visitors, a shopping centre must be seen as a place of gathering as much as a place of commerce. It must be about an experience that is valued beyond the sum of any transactions, in which the opening of our wallets is a mere by-product of an engaging and sociable experience. In the second article our team analyse how shopping centres might adapt to this changing environment and consider ways in which investors might best position their portfolios to take advantage of evolving consumer preferences.